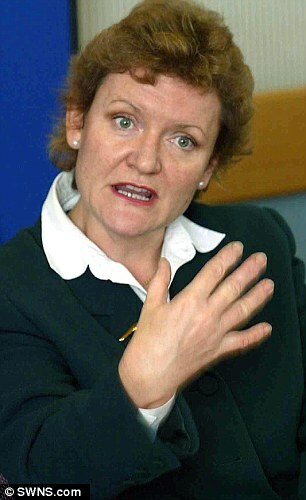 NHS boss pocketed £155,000 by retiring for just 24 hours: She quit, cashed in pension, then got her job back! An NHS chief who tried to gag a whistleblower has claimed an extra £155,000 by ‘retiring’ for just 24 hours. Sue James, 58, used a loophole to bank the tax-free bonus as her Trust declared millions of pounds in losses. 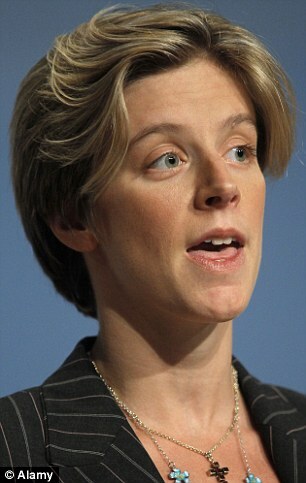 She was then rehired a day later to continue earning her salary of almost £200,000 a year. The executive – who once offered £250,000 of public money to silence a surgeon who spoke out about poor patient care – was last night branded ‘morally reprehensible’. She faces being investigated by watchdogs and could be fired under new laws, if found to have been involved in ‘serious misconduct or mismanagement’. Incredibly, she has refused to apologise or hand back the money, maintaining she is ‘fully entitled’ to the payout. The case is revealed today by the Mail as Sir Robert Francis QC prepares to publish a long-awaited report into whistleblowing in the NHS. It is expected to highlight the extraordinary ways in which whistleblowers have been persecuted into keeping quiet while bosses have been hugely rewarded. Tory MP Charlotte Leslie, who sits on the health select committee, last night said: ‘The disgusting audacity of this is beyond words. James, who lives with her husband Peter, 60, in a £500,000 cottage in rural Shropshire, has been chief executive of Derby Hospitals Foundation Trust since 2011. The pay package came even though her failing Trust lost £15.7million, declaring a financial deficit for the first time. Just months earlier, regulator Monitor demanded immediate improvements to the trust. On top of her salary of more than £190,000, she claims about £3,000 a year in expenses and was awarded between £152,500 and £155,000 in pension-related benefits. She claimed the huge tax-free sum by retiring on March 30, 2014. She was re-hired 24 hours later, meaning she could receive her pension while still earning her gargantuan salary. The supposed retirement and re-instatement was never announced, but buried in the small print in the hospital’s accounts. The chief executive job that she refilled a day later was never advertised. James may also have broken the rules of her pension. Under certain circumstances she should only have been allowed to come back to work after retirement if she worked for a maximum of 16 hours a week for the first month. Derby Hospitals never reported that its chief executive was working part-time for a month. Neither James or the Trust would say why her retirement was never announced, why they never advertised for a new chief executive or why James was then reinstated without telling the public. They would not say whether she worked part-time for a month last year. James did not respond to a request to apologise or to give the money back and would not comment on calls for her to resign. In 2013, former actress Sue James described her role as chief executive at Derby Hospitals Trust as ‘like living a soap opera’. She added that if you are ‘an adrenalin junkie’ a hospital is a wonderful place to work because ‘you are touching the whole range of human emotions every day’. She was previously chief executive at Walsall Hospital for seven years from 2003, where she was accused of overseeing the ‘persecution’ of whistleblower Dr David Drew, head of the hospital’s paediatric department. After telling James about his concerns about safety, Dr Drew was eventually dismissed for failing to obey orders and accused of using religious references at work. James offered him £247,000 in public funds and a good reference to go quietly. She joked it would be a ‘nice birthday present’. After refusing, he was sacked. Months later, James became chief executive of Derby Hospitals Foundation Trust. Dr Drew has now taken legal action to have James removed from her job. Last night, he compared his former boss to a ‘second-hand car dealer’. The NHS is set to be heavily criticised over the victimisation of staff who dared to blow the whistle on poor practice. Leading barrister Sir Robert Francis – who carried out two reports into the Mid Staffordshire hospital scandal – will unveil a series of recommendations on Wednesday, designed to protect staff who speak out. His report has been delayed by two months after his inquiry team was deluged by comments from thousands of worried staff. The review team has received 17,500 online responses and 600 by post – although some may have been in touch more than once. Last month, MPs said that despite some improvements, many staff have been put off by the experience of others. Sir Robert’s review into whistleblowing was ordered by Health Secretary Jeremy Hunt last summer over fears that those who want to raise concerns are staying silent over fears of being bullied or forced out of their job. Although such treatment is particularly associated with the target-driven culture under Labour, there are still cases where those who speak out are being treated shockingly. In January a senior cancer doctor was suspended by his trust for writing critical articles about the Health Service. 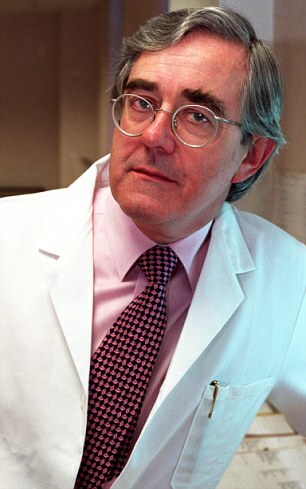 Professor Joseph Meirion Thomas was put on two weeks’ gardening leave by the Royal Marsden Hospital in London. Last year, the Mail highlighted the case of cardiologist Dr Raj Matu, whose NHS trust spent £10million trying to silence him after he warned of patients dying on overcrowded wards. He was suspended from Coventry’s Walgrave Hospital in 2000 and later sacked, but finally vindicated in April when a judge ruled he had been unfairly treated. In 2010, Gary Walker was dismissed as chief executive of United Lincolnshire Hospitals NHS Trust after raising fears that a Labour drive to meet targets compromised safety. 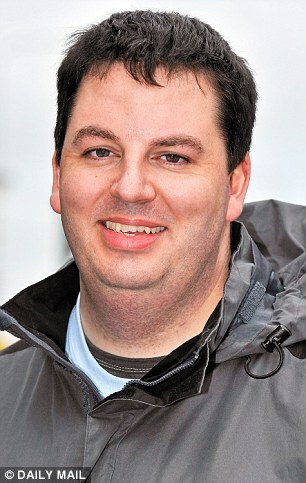 He claims a £500,000 taxpayer-funded gagging order was used to stop him speaking out. Two years ago, after the trust he ran and several others were warned about high mortality rates, he broke his silence. Nothing to do with the Tories, Jeff. This kind of behaviour has been rife in the NHS under both recent governments and no-one has been willing to lift a finger to stop it.